The Jardin du Luxembourg in the 6th Arrondissement of Paris, holds an impressive variety of different trees, with approximately 3000 covering the grounds of the garden, and these photos show a Taxus Baccata L, or English Yew Tree. 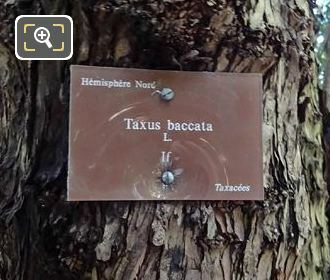 The Taxas Baccata is the scientific name given to a species of conifer often referred to by its common name of English Yew, and although it is native to Britain, it is also found throughout most of Europe and hence it is sometimes also called a European Yew Tree. 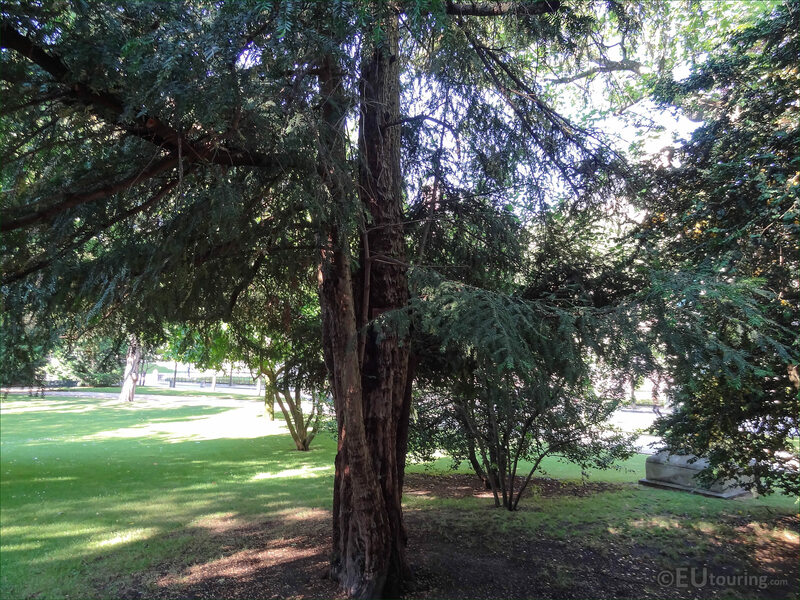 And although this particular Yew tree you can see in this photo that we took while in the Luxembourg Gardens in Paris is still an historical tree, it is not that old compared to many specimens that can be found across Europe that have been estimated at over 1000 years old. 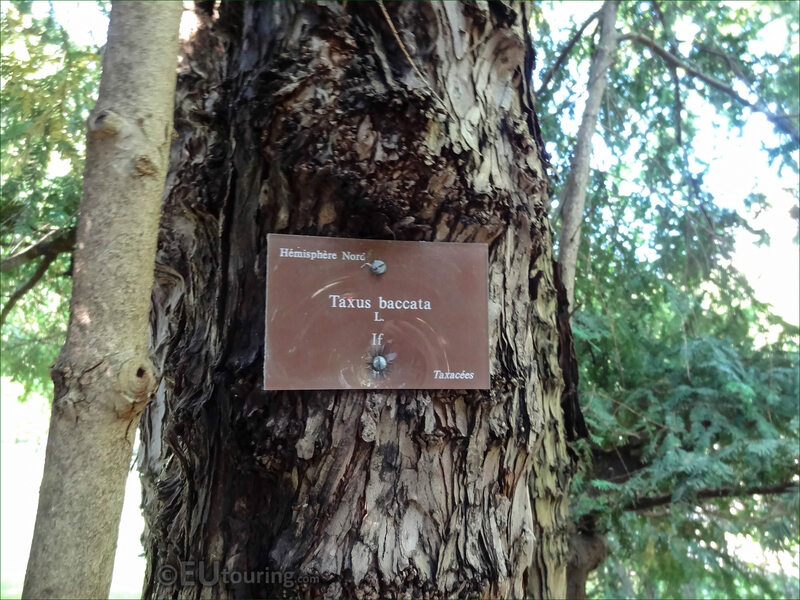 Now this next image shows a close up of the tourist information plaque that has been attached to the trunk of the Taxus Baccata Tree in the Luxembourg Gardens, and as you can see, it provides the region where this species of tree comes from, which in this case is the northern hemisphere. But a couple of interesting facts we came across, was the origin of the scientific name, as in Latin Baccata means Bearing Red Berries, which this tree does, yet the word Taxus derives from Toxic, and the seeds, plus its foliage can be dangerous to humans and wildlife if ingested, even though the berries themselves are not toxic and are eaten by many different birds. However, the type of wood that the English Yew Tree produces has been used for centuries to make longbows, and you will often find the Taxus Baccata planted by chapels, in church graveyards, etc, which has also been the case within Europe for centuries.